Johanna Hehir has launched her new diffusion collection, Mae by Johanna Hehir. This gorgeous new range features soft georgette, silk crepe and vintage style lace in the dress designs. Dresses range in price from £1000 to £1500. Johanna says “Naming the collection was far simpler than I thought it would be. When my daughter suggested we use Mae (my second name), I knew it was a name that perfectly suited the type of girl who we envision wearing any one of the dresses from this collection”. 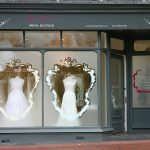 Johanna has established herself over the past ten years as one of London’s leading bridal designers. Her signature style has clean, unfussy, classic cuts with romantic detailing – we just love! 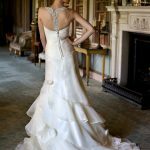 We’ll let you know as soon as the range is available – in the meantime check out this gorgeous video from the collection shoot day or for more about her other gowns take a look at our previous blog post.